Ah the ability to sing! So So Def artist Dondria makes sure she maintains a close relationship with her Youtube audience, and this time she hits them with a freestyle, about Nail Polish Remover. She is seriously one of those artist who could be singing the alphabet and everyone would stop and listen. 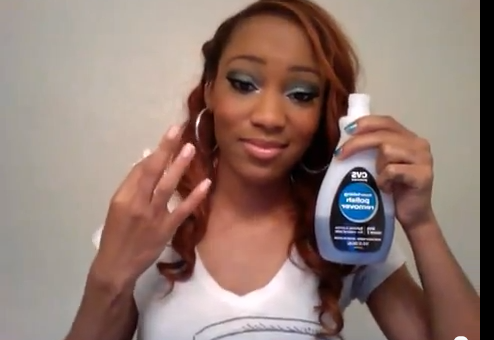 Check out the runs as she playfully sings as she removes the polish from her nails. I love this young lady. Oh and on a serious note, she has been hard at work in the studio, preparing for her sophmore album, so it's not all play with this songstress. Enjoy!